Have you ever thought of converting your laptop PC into WiFi Hotspot? With Windows Operating system now it is possible. This facility allows you to convert your PC into hotspot and allows other devices of yours to avail the benefit of internet connection by establishing connection with your PC. This is made possible with the help of Virtual WiFi adapter present in Windows. By this added feature in Windows, you can even establish hotspot facility even while you are using other WiFi network in your PC. Windows have many sophisticated methods to generate WiFi hotspot. But in you can avoid those complications. The application named Virtual Router will come in handy for you. It’s an interface that Windows have in its top list of features but unfortunately they seem not to expose this. For instance this application will help you to make a virtual WiFi adapter that permits the user to get connected with any WiFi network simultaneously by providing its own Hotspot. These two tasks can be performed with the help of this Router. There is another interface for which you have to pay a fixed sum of money to use it. But the Virtual Router does the same task without any expense from the customer’s pocket. Another notable advantage of using Virtual Router is that it is free from annoying advertisements. What you have to do is to download the Router and load it in your PC. Assign a name to the network that you are providing along with a passphrase. Also select the type of connection that you want to establish other devices. After completing these steps just click on “Start Virtual Router” button. You can also see the roll of gadgets that get connected to your PC. The feature is already included in the special added features in Windows 7. It can be loaded from networking interface of Windows 7. For this you have to Open ‘Manage Wireless Networks’ window and tap on ‘Add Button’. Then you have to click on the option named ‘Create an Ad Hoc Network’. What you have to do next is to create a Name and Passphrase for the WiFi network. Now you are able to see a roll of wireless networks available. You have to select it. This will result in disconnecting our PC from already established network and results in creating an Ad-hoc network to which other gadgets of yours can get connected to. Check whether you have activated the option, ’Allow other network users to connect through this computer’s Internet Connection’. Otherwise you can have a Hotspot without allowing others to use the facility provided by your PC. So in short by tapping the option you are allowing other devices to use your internet data package. Unfortunately Windows have skipped the interface from Windows 8 features. The reason behind its omission is unknown. But don’t you can still create Hotspot without the help of any third party interface. For that you have to follow certain steps as follows. First of all you have to go into ‘Command Prompt’ option and enter a few commands to activate your own WiFi hotspot. Here also you have tick the checkbox ‘Internet Connection Sharing’. By only enabling this option you are able to apportion your internet data connection with other devices. These options turned out to be really helpful with the availability of Virtual Router facility in Windows Operating System. 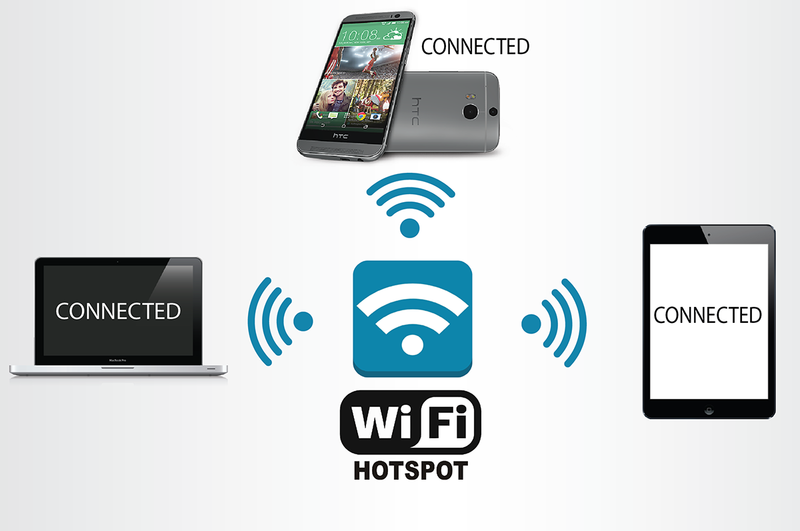 By this you are able to get connected to a network along with the facility of providing an ad-hoc hotspot for other devices also. There are certain other facilities available in Windows Internet Connection Sharing option. The customers can avail the same facility of internet connection over a Bluetooth or Ethernet cable also. The only thing that you have to take care is to allow the option of ‘Internet Connection Sharing’ seen in the properties of the Adapter. Users must understand the fact that this facility has certain limitations also. Certain devices are not able to create its own WiFi Hotspot with this option. This benefit is entirely depends on the properties of the gadget that you are turning into Hotspot and also the properties of WiFi facility that you are using.